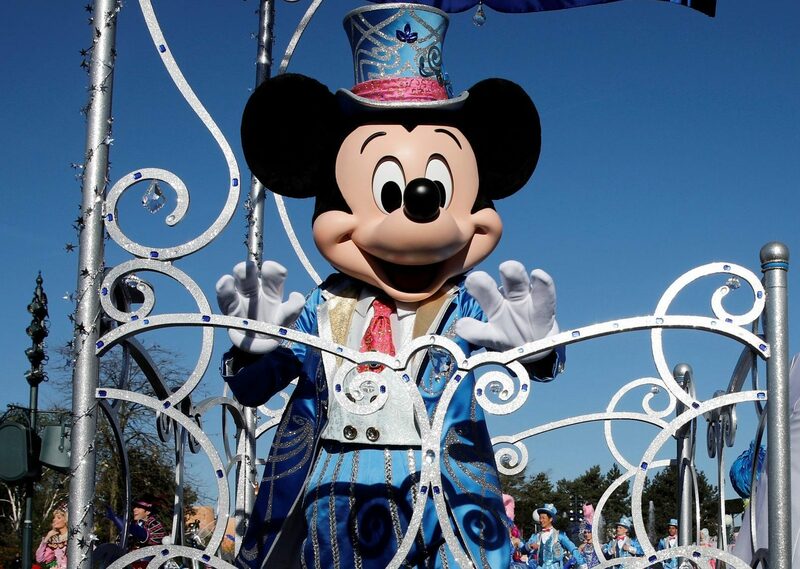 The Takeover Panel, generally a sound custodian of UK bid rules, is keeping the Magic Kingdom’s minimum buyout price for Sky at 14 pounds per share. Nudging it higher, in line with Disney’s Fox bid, would have set a better precedent for similar deals in the future. Disney character Mickey Mouse attends the 25th anniversary of Disneyland Paris at the park in Marne-la-Vallee, near Paris, France, April 12, 2017. Britain's Takeover Panel on Aug. 16 confirmed an earlier ruling that Walt Disney might have to offer 14 pounds a share to buy UK pay-television group Sky. The M&A watchdog in April ruled that Disney must offer to buy the rest of Sky if it completes its acquisition of Twenty-First Century Fox's TV and film assets including a 39 percent stake in the British pay-TV group. That ruling, which mandated a price of 10.75 pounds per Sky share, would apply unless either Fox or Comcast succeed with separate offers for Sky. Since then, Disney has raised its offer for the Fox assets by 36 percent to $38 in cash and shares, topping a rival Comcast bid. Shareholders in Fox and Disney have approved the tie-up, as has the U.S. Department of Justice. The Takeover Panel said on July 13 that Disney’s higher Fox bid meant it should offer 14 pounds, rather than 10.75 pounds, to Sky shareholders. Various groups including Sky appealed the decision. Comcast’s 14.75 pounds per share bid is currently the highest offer for Sky, whose shares were trading at 15.27 pounds at 0748 GMT on Aug. 16.